A wildly overstuffed suspenser that pits A.D.A. 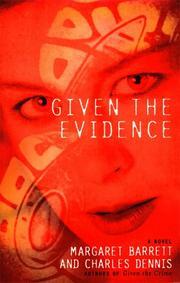 Susan Given (Given the Crime, 1998) against every lowlife in Manhattan, and a couple of late arrivals from offshore. Susan, who runs the Asset Forfeiture Unit, is overworked, overstressed, and suffering from nightmares. She’s getting no support in her quest for judgments against numbers racketeer Eduardo San Juan or Ugandan charity scammer Davis Kumba, and now that her boss William Archibald has turned on his old mentor Dwight Pelham, whose American Patriot Bank doesn’t have an honest dollar on deposit, things are about to get hotter. Meantime, a serial killer Susan’s nicknamed Rice Krispies (a sobriquet that instantly and implausibly gets leaked to the press, along with every other detail of the slayings) is murdering joggers in Central Park; on the home front, Susan’s ex, psychiatrist Hugh Carver, is mounting a full-court press for custody of their two adopted daughters. Desperate for relief, Susan jets to the Caribbean paradise of St. Stephen’s just in time to get involved with a charming drug mule who’s killed by his boss hours before Susan’s due to leave St. Stephen’s—giving her just enough time to sprain her ankle fleeing the killer and to endure a rum-soaked debriefing by the insinuating island police chief. Back in New York, Hugh Carver and Susan’s southern-belle niece Brandy Prescott both get embroiled in a power struggle over at Channel 8 News, and Susan finds herself running into (1) a mobbed-up former Playmate of the Year; (2) the murdered mule’s runaway sister; (3) the charming St. Stephen’s policeman; and (4) the vengeful druglord himself. And don’t forget the Central Park killer, though the hard-working authors almost do. The wonder isn’t that Susan has nightmares, but that she can bring herself to take in the mail every day. Anybody interested in a new Manhattan soap opera will find enough overgalvanized minor characters and felonious subplots for an entire season of Lawyer on the Edge, with enough loose ends for a second season’s worth of teasers.